I just recently did an interview with SmartShanghai: [10-Year Club]: John Pasden of Sinosplice and AllSet Learning. It also has a tagline: A trip down memory lane with long-time Shanghai-based language specialist John Pasden. Dude speaks Chinese with the intensity of 1000 exploding Da Shans. That “exploding Da Shans” line cracks me up for many reasons. SmSh: I know you get this a lot — speaking specifically to your job, what are some tips for people trying to learn Chinese? JP: You have to get out of your comfort zone. I know a lot of people that get out of their work “expat bubble” and talk to Chinese friends, but they’re only talking to Chinese people with pretty decent English. Not enough discomfort! Try talking to your ayi about her kids, or ask the fruit stand guy how much he pays for rent, or try to convince the guard in your apartment complex to stop smoking. You may think your Chinese isn’t good enough, but you’re not giving yourself enough credit. Look up a few words or phrases in Pleco, and give it a shot. Those are the conversations that will NOT be comfortable at first. You will likely fail hard at some of them, but those people are not going to switch to English, and they’re likely to have more patience for your bad Chinese than you do. And if they laugh, just assume that it’s because you made their day by even trying to talk to them in Chinese. The whole interview is on SmartShanghai. I’m very happy to report that the Outlier Dictionary of Chinese Characters I wrote about before has met its $75k funding goal. That means that this dictionary will soon be available through Pleco, so if you were holding out, doubtful it would actually happen, doubt no longer. Congratulations to the Outlier Linguistic Solutions team! This is an interview with Ash Henson, Outlier Linguistic Solutions’ main academic guy. Like some other people I’ve spoken with, I was a bit apprehensive about the project at first, feeling it was all way too academic and probably not a good resource for beginners. The more I talked with Ash, though, the more I was convinced this was not the case. I do believe this is going to be a great resource for learners at all levels, and I look forward to using it myself, both for my own purposes, and for my beginner-level clients. Anyway, here are some additional questions I had about the dictionary, answered by Ash. 1. You have an article on the problem with the concept of “radicals.” Would it be fair to say that radicals are just an outdated concept which we don’t need anymore because we can look almost everything up by computer now? Is your dictionary going to include the concept of radicals at all? Well, I’d say that radicals are only reliable as a tool to look up characters in traditional dictionaries. If you only use electronic or software dictionaries, then it’s safe to say that you can ignore them. We will actually point out the radical for each character though, so that you can look up the radical for that character if you need to look it up in a paper dictionary. The main issue with “radicals” is that there are really several unique concepts that are called “radicals”. For instance, you often hear people say “Characters are made of radicals.” While that is a reasonable conclusion to make from the name “radical”, it misrepresents how characters actually work. There are around 500 semantic components that appear in characters and a lot of them cannot be broken down into “radicals”. 2. You’ve mentioned before that the Outlier Character Dictionary will include the most up-to-date research, including even corrections of mistakes in the legendary 说文解字 (Shuowen Jiezi). Could you give a simple example or two of that? This type of data can be found in the Expert Edition. I’ll share two examples from the demo. For 監 (jiān) “to inspect”, the 說文 says that it is composed of the semantic component 臥 (wò) “to rest” which is used to express the idea “to look down from above” and the sound component 䘓 (kàn) “thick animal blood” abridged to 血. The problem is, 監 is a character from the early Shang dynasty (roughly 1600 bce to 1046 bce), while 臥 and 䘓 don’t appear until Warring States (roughly 475 bce to 221 bce). Obviously, either this interpretation is anachronistic or maybe 臥 and 䘓 did exist earlier and we just haven’t found any proof. However, if you look at the earliest extant forms of 監, it’s very obvious that it’s a picture of a person looking into a container that has liquid in it. This “picture” is used to represent the idea “to inspect, examine” as this was how the ancients inspected their own faces, i.e., they used water in a container as a mirror. Another example is 黑 hēi “black”. The 說文 says that the top part is a window and the bottom part is flame (炎 yán) and gives the meaning of 黑 as “the color of something burnt”. Note that the 說文 is explaining the Small Seal script form. The earliest forms show a person with a tattooed face. This is one of the ancient Five Punishments, where the name of the crime a person committed was tattooed onto their face. 3. After all this time, how can researchers be certain about what are mistakes in the 说文解字 (Shuowen Jiezi)? Basically by way of tracing characters back to their earliest extant forms and seeing how characters are used in earlier scripts. Like in the 監 (jiān) example above, the 說文 says that it’s composed of 卧 and an abbreviated 䘓, but 卧 and 䘓 show up around a thousand years after 監. It’s like explaining the 1066 war in terms of the soldiers’ cell phones. Keep in mind, the author of the 說文 was a very erudite scholar, with a very broad range of knowledge, but he was limited by the information he had access to and by pre-scientific thinking. The 說文 is best understood as an insight into how Han dynasty Confucian scholars looked at the Small Seal script. Even with its problems, it still plays a very important role in this type of research. 4. You’ve told me before that a proper understanding of characters can help a learner guess the correct pronunciation of a character. This is hard to imagine, since a lot of components have a wide range of possible functions and even multiple possible pronunciations. (Examples: 干、赶、汗、旱 or 今、含、零、领、邻) How can you solve this mess? Sound components can be really frustrating, because they generally don’t give an exact sound. In the same way semantic components give a hint as to the range of meaning a character might have, sound components generally also just give a range of sounds. English speakers might not realize this, but English spelling is very similar. That’s why the exact same spelling “minute” can be pronounced MIN-it for “60 seconds” or mahy-NOOT for “extremely small”. Actually, this second one can also be pronounced mahy-NYOOT, mi-NOOT or mi-NYOOT. As you can see, the spelling “minute” does not give an exact pronunciation, but a range of possible pronunciations. As a native-English speaker, this isn’t a huge problem, because for the most part, we go from words we already know how to say correctly, to learning how to write them. During college we learn a lot of new, specialized words for the field of work we are training for. Most of these are learned either from reading or from hearing professors or other students use them. When I was in college, I often heard people say words incorrectly because they had only seen them in writing. This is a reflection of the fact that English spelling only gives a range of possible pronunciation rather than an exact, IPA-like pronunciation. Making sense of sound patterns in Chinese characters is very useful, because they can be used to remember how to write characters. For instance, before I learned how sound works, whenever I had to write a character containing 艮 or 良, I would always ask myself, “Oh, man. Do I put that dot here or not?” It was very frustrating. Once I learned how sound components work, I looked up the pronunciation for 艮 (gèn) and 良 (liáng). Then I noticed that for characters pronounced “gen”, “hen”, or “ken”, it was 艮. If it was pronounced “lang”, “liang”, “nang” or “niang”, then it was 良. So, by learning about sound relations, I went from a meaningless dot-or-no-dot question, to a meaningful “What is the pronunciation of the character I want to write?” question. Though sound isn’t represented exactly in Chinese writing, there are a lot of clues we can use, especially if we know to look for them. Let’s look at 干 (gān), 赶 (gǎn), 汗 (hàn), and 旱 (hàn) first. Notice that they all have the ending “-an” and that they all share the component 干. This is a strong clue that there is a sound relation. Also note that there is no discernible pattern with the tones. That’s because tones generally are not taken into account. Native speakers would generally use “-an” as the sound clue. However, it’s very useful to remember that “g-“, “k-” and “h-” are very closely related sounds. Finally, looking at 今 (jīn) and 含 (hán), we notice that 今 and 令 above are graphically very similar, but like the 艮 (gèn) and 良 (liáng) example, we can use sound to keep 今 (jīn) and 令 (lìng) separate. Using sound patterns to understand the relation between 今 (jīn) and 含 (hán) is a little more complex. You have to understand both that “g-“, “k-” and “h-” are closely related as previously mentioned and that many “j-“, “q-“, and “x-” come from an earlier “g-“, “k-” and “h-“. In other words, two groups of closely related sounds are also somewhat related. Why do sound series have this kind of variation? The answer to this question is fascinating, but complex. Most characters in use today find their origins thousands of years ago during the Zhou dynasty. Back then, the language was very different and very possibly had prefixes and suffixes and it was these prefixes and suffixes which cause this variation. Another reason is from regular sound changes over the last several thousand years. 5. Your dictionary is designed to provide a wealth of modern character research into characters through a modern interface. How would this be used by a beginner who sees characters as an annoying hurdle? 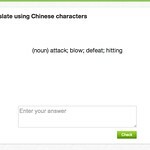 The key to optimal learning is obtaining the ability to use the system of Chinese characters as a tool for being able to recall character forms after long periods of time and as a tool for making intelligent guesses about characters you haven’t learned yet. Native speakers have these abilities, but they are far from perfect and they are the results of years of input. Non-native speakers learning Chinese can also get them after learning a few thousand characters. However, as you can imagine, their instincts about characters are probably not as good as a native speaker’s. The main advantage of using our methods is that you can gain these abilities after a few hundred characters, because all of the sound and meaning connections are being pointed out explicitly for each character. And, as I showed above, if you learn our sound patterns, your feel for sound representation will be better than a native speaker’s. We also explain meaning connections in a more precise way, so your feeling for meaning representation will also be more accurate. To those who think of characters as a nuisance, if you learn them our way, you’ll learn in a way that is both more meaningful (and therefore you’ll likely find it more interesting) and more effective, so you’ll spend less time re-learning characters. We can’t remove the pain entirely, but we can minimize it! As of today, the Outlier Dictionary of Chinese Characters Kickstarter is sill going. I recently discovered gotCharacters, the personal project of Kathleen Ferguson. I was impressed by the logical organization of the character components, and the clean, attractive design of the site. It was clear that a lot of work went into the site, and it’s all available for free! The following is my interview with her. 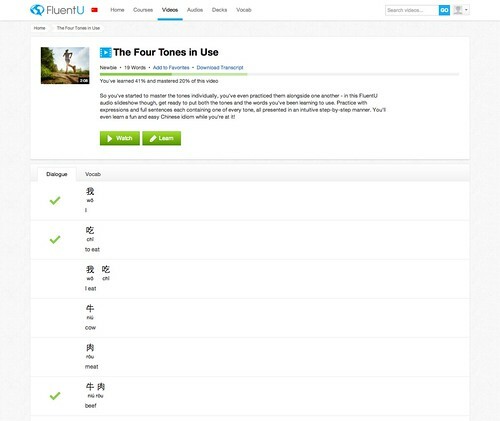 What made you decide to create a new resource for learning Chinese characters? I came to Chinese in 2006 as an adult learner and struggled to remember even the simplest of characters and pinyin. There were few resources that suited my learning style, so early on I started developing my own mnemonics. 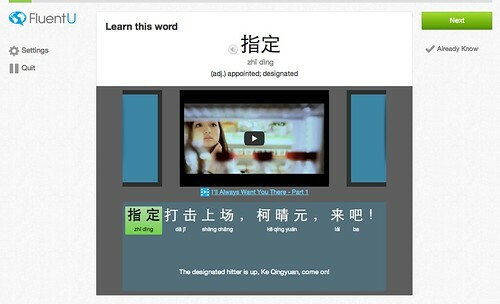 I’m sharing them on gotCharacters.com with the hope that it will make someone else’s learning experience easier. 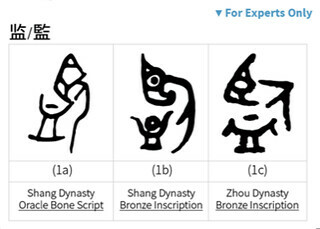 How is your work on gotCharacters different from that of “Chineasy” (of TED Talks fame)? Based on ShaoLan Hsueh’s TED Talk and a quick look at the Chineasy website, I think we share the same goal: offering ways, like visual aids and other mnemonics, to make characters stick and to make learning Chinese less intimidating. In developing gotCharacters, however, my perspective is different. English is my first language, and I’m a Chinese language learner (an adult learner at that); to me, my content represents material I would have liked to have had earlier in my learning curve. 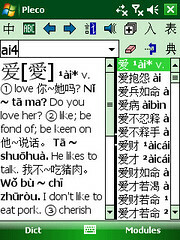 As an example, gotCharacters includes lookalikes—characters that look similar (like 人 and 入, or 千 and 午). To the experienced eye the differences are clear, but for a newbie these characters can be indistinguishable (as they were for me). How did you create all the content on gotCharacters? Do you have a team? Do you have Chinese teachers involved? Most of the content started out as reams of handwritten notes accumulated over the years. With the benefit of time and mulling, an idea evolves and it’s sketched on a yellow pad. Then I use a variety of tools like graphics, Flash animations, audio recording, and eLearning software to develop the online content. Cecilia Lindqvist’s book China: Empire of Living Symbols and Claudia Ross’s Modern Mandarin Chinese Grammar are my two bibles. I’m a visual learner, and animating characters brought them to life for me. My first animations were in 2010; in my mind’s eye, I could visualize 人 (person) walking, 飞 flying, and 马 rearing back on its hind legs and neighing. Every time I would come across these characters, as part of another character or as a stand-alone, I remembered the animation and thus the character. Some ideas take time to come to fruition. I created the “Radical View” map (www.gotCharacters.com/radical-view) in 2011 as an independent project for class. Two years later I presented a more fully formed version at a World Language Teachers conference (my topic was “Overcoming the Challenges of Learning Mandarin: An American Student’s Perspective”), and the Chinese teachers’ enthusiastic response inspired me to make a color-coded, interactive version for the website, which was launched just this month. As far as a “team” goes, I’m it. My family is supportive of my passion for Chinese and my desire to share that with others. My first Chinese professor, Wu 老师 at Central Connecticut State University, and several Hanban and StarTalk teachers, including Wang 老师, who currently teaches Mandarin at our Newtown High School, have been strong supporters as well. How far have you come with your Chinese studies? I’ve come a long way since 2006 when learning everything was a struggle and remembering how to count to ten was elusive. I’ve taken four college classes and continue to self-study using podcasts, books, Chinese movies, and anything else that helps me to learn and remember Chinese. My reading proficiency is good, and I can carry on a basic conversation with a native speaker as long as they speak slowly and deliberately. My goal is to become fluent in Chinese, and though I have a long way to go, I’m enjoying the journey a great deal. Did some of the characters you learned at a more advanced level influence how you designed the material for beginners to learn characters? Technology has actually had the greatest influence on how I designed the material. With the evolution and easy availability of software and web tools, I can do more today than just a few years ago to extend the functionality and versatility of the content. What’s next? Is this a growing business, or a side project? It is my passion and avocation (I’m doing what I love), and I hope that I can make a living with it at some point. There is much more content coming to gotCharacters, and I look forward to opportunities to collaborate with others, to develop course curriculum, and maybe someday to teach characters. 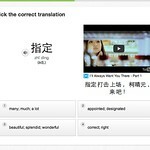 My mother always told us “Your goal should be just out of your reach” so my goal is for gotCharacters.com to become for Chinese what Kahn Academy is for math. Furio of the Sapore di Cina blog recently interviewed me about the Chinese Grammar Wiki and AllSet Learning in general. He had some great questions, and I really like how the interview turned out. Check it out: Interview with John Pasden, the founder of Sinosplice and AllSet Learning [also in Italian, in Spanish]. > You are married with a Chinese girl, have a daughter and opened a company in China. Do you ever think about going back to U.S.? > Of course. I’d be lying if I said I never think about it. I think about it not because I’m tired of China and want to go back, but rather because I suspect there may come a time when it just really doesn’t make any kind of sense for me (and my family) to stay. Ecological, economic, or political disasters could definitely befall China. You can’t be a responsible parent if you haven’t at least thought about a plan B. > That said, I don’t have plans to leave China anytime soon. I’m still having a great time here, loving the experience of building my own company, and sincerely hope that I can be here for quite a while. 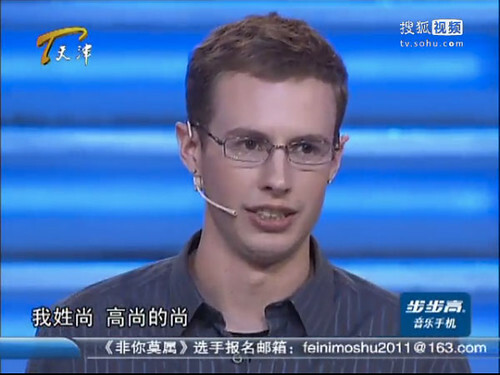 Following a post entitled Why China for Grad School?, I interviewed Zachary Franklin about his half-English, half-Chinese economics master’s program. This time I interview Micah Sittig, who is earning a master’s in education through a quite different program in Shanghai. John: Can you tell me what graduate degree you’re working on? Micah: I’m working toward a Master’s in Education from the University of Oklahoma (OU). I’ve been teaching math and science in the English division of a private school on the outskirts of Shanghai for four years now, and this is the first time that the school has teamed up with a university to offer this kind of opportunity. Naturally I jumped at the chance because it means being able to stay in China and earn what I feel is a US-quality advanced degree. John: What kind of program is it? Is it meant for foreigners? Micah: It’s an intensive, two-year master’s offered by the University of Oklahoma. The College of Education sends professors to Shanghai during vacations for one week of class, 62 hours total, including a practicum that we’re just finishing now. It’s a general Master’s in Education that is meant for teachers from preschool up through high school, and includes courses like Intro to Teaching and Learning, Educational Psychology, Theory and Research in Education, and Instructional Technology. Enrollment was not limited to foreigners, but only 3 out of 15 students are native Chinese, probably because the entire program is being conducted in English. I suspect that some of the professors were mentally prepared to teach a majority Chinese class, but that doesn’t mean they lowered the pace or difficulty of the material. John: In terms of course content and professors, how does your program compare to comparable programs in the States? Micah: In theory the content is offered at the same level as it was in the United States. Some professors have tried to get our input from a Chinese perspective, but the majority of the students are from the US or other nationalities, and the Chinese students either don’t participate much in discussions or have a hard time bridging the cultural gap with the professors. The Tech Ed class also had a heavily modified syllabus since many online tools aren’t available in China; thanks a lot, GFW! The professors are what you’d expect anywhere—some good, some bad—but overall I’ve been very happy with the caliber of the instructors and the level of instruction. John: Education in China has long been the focus of various debates. Has Chinese-style education impacted the content of your program? Micah: Due to the nature of the program, it hasn’t been impacted by Chinese-style education. However, my wife Jodi is concurrently studying for a second undergrad degree in early childhood education at ECNU and what has been interesting is comparing the teaching style and content in courses or topics that we’ve both studied. Jodi’s classes, of which I’ve been able to sit in on a couple, place a much greater emphasis on content than on practice. One particularly bad teacher would just spend the lecture talking through the text and pointing out facts or passages that test questions would be taken from; it was a textbook case of teaching to the test. Add to that the Chinese reverence for (their 5000 years of) history and you have a lot of content to cover. On the other hand, I felt like my program emphasizes practice over content, sometimes to a fault. In some classes the professors spend a lot of time talking about how we feel and what we do in our classrooms, and neglect to give us a framework on which to organize our ideas. As you might expect, the teacher with the most organized notes and Powerpoints was the one prof of Korean heritage. John: Can you share any information with readers interested in the program? Micah’s website has his contact information, as well as links to his blog and his Twitter account. TeacherReady, offering distance certification in Florida. The College of New Jersey Off-Site Graduate Programs, offering MAs and certification in New Jersey. Western Governors University, offering undergrad/grad teaching degrees leading to certification. There are definitely foreigners in Shanghai that have elected to earn their advanced degrees in China, but in fields other than those mentioned above. Curious about how they see their education, I’ve decided to interview a few. The following is an interview with American Zachary Franklin, a writer who also maintains the blog Writer’s Block on his website, DeluxZilla. Zachary: I am currently a first-year master’s student working toward an M.A. in Chinese Economics from Fudan University, a two year degree program taught through the School of Economics. John: So what kind of program is it? Is it meant for foreigners, or is it all Chinese? Zachary: It is an English-taught, M.A. program, focusing on both economics and the Chinese economy in the context of the past 30 years of development and where the Chinese economy is heading in the coming decades. It is meant for foreigners. My class has 15 other students from around the world, including countries such as Korea, Singapore, Malaysia, Hungary, Norway, Italy and the United States. This specific degree program has been around since 2006. The difference between myself and the other 15 students is they are taking the degree completely in English, whereas I am taking half the degree in Chinese. 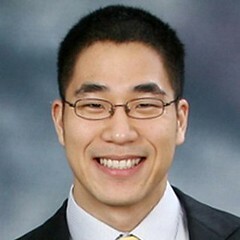 John: I mentioned in a recent blog post that I thought it mostly only makes sense to earn a graduate degree in China if the subject matter is inherently Chinese. I guess you would take issue with that statement? Zachary: I don’t take issue with your statement so much as it is going to be a moot point. The invasion is coming. In the next 10 years there will be masses of foreigners from all corners of the globe coming to China to study in universities, in numbers far greater than what China has seen previously. In the United States alone, President Barack Obama said back in Nov. 2009 he wants to send 100,000 American students to study in China over the next four years. Even if you feel universities here need to change their methods and improve their standards, it won’t matter. The increased demand will naturally change the system. It has to. Will foreigners be coming to China to study subjects such as Russian literature or peace and conflict studies in the Middle East? I don’t know, but it seems there are already several other universities around the world that have those programs and are more well-known for those degrees. Instead, what we’re going to see is many coming to China to learn the language, but many more who already have a very accomplished level of Mandarin. To cope with increased overall demand, universities around China will have to adapt to handling a higher percentage of foreigners. They’re going to have to meet demands, change standards where necessary and offer a more diverse curriculum. Zachary: Of course the subject matter is important, but as I am in China and studying economics, it is important to take stock in the economic changes happening all around and apply what I’ve learned in the classroom accordingly. So, in terms of value, how do you see your M.A. in Economics from Fudan? Zachary: I see an M.A. in Chinese economics from Fudan University to be three degrees — though I am certain I will only receive one of them from the school. There is the obvious, the economics degree. There is also what I feel will be my completion of Mandarin. I spent 18 months in Beijing before coming to Fudan, reading, writing and speaking Chinese six hours a day, five days a week, in an intense program at a private language institution. Trying to earn a master’s degree utilizing my Mandarin was simply the next logical step. The last degree is the least obvious, but nonetheless one that is of great importance. I feel my time as a student at a Chinese university allows me to understand the educational system in this country. For the majority of Chinese students graduating, what they study at school goes to the industry where they will eventually begin work. Understanding why they’ve chosen a particular major to continue their education, what their classroom activities are doing to prepare them for the real world, where they hope to see themselves in five or 10 years; all this contributes to understanding the people around. And 10 years from now, who knows where my former classmates will be and what field they will be working in. John: How do you see your M.A. in Economics from Fudan compared to one you might get from an American university? What are the trade-offs? Zachary: Economics is economics regardless of where one is studying. There are core principles everyone is taught and everyone understands. The differences come when one considers where I am located and the language I am using to obtain my degree. I am studying economics in China, and I’m using another language for part of the degree. Physically being here is priceless in terms of the perspective I am being exposed to. You cannot compare studying economics in Shanghai — with so much going on around — and studying economics 9,000 miles away in the United States. I step out my front door every morning and see everything Americans can only read about in the New York Times. In my mind, there are no trade-offs when you think about it like that. You can follow Zachary’s progress in his M.A. on Writer’s Block. Megan Shank has a background in journalism (both freelance and as former editor of Newsweek Select in Shanghai). 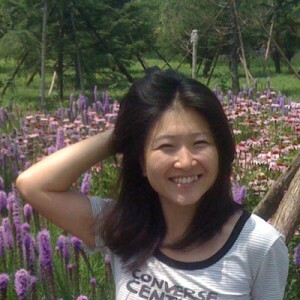 She has recently relocated to New York City after living in both Dalian and Shanghai. She also keeps a blog. This is the sixth and final interview in a series entitled The Many Paths to Translation Work. I’m primarily self-taught (many hours writing and rewriting characters at the kitchen table) and have also worked with some tutors. For two semesters, I took advanced intermediate Chinese classes at the Dalian Foreign Languages University. I never took a translation class, though I’m still interested in enrolling in some sort of program to improve my skill and speed. For me, living in China has proved essential to my Mandarin studies. Opportunities abound for students to directly apply and test what they’re learning; they can use the language to create real connections. In terms of reading and writing, the characters fly out at you on the street, on a menu, in the subtitles of the late-night news. They dazzle and envelop you; you can’t escape them. Finally, in my experience, I’ve discovered the Chinese love their language. People from cabbies to park-side chess sharks have patiently drawn out characters for me on their palms and explained the radicals. I owe much to these patient and priceless—literally free—teachers. 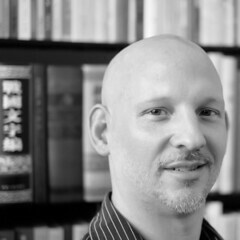 Benjamin Ross is a translator, interpreter, and adjunct ethnographer living in Chicago. Previously, he has lived in Fuzhou, China, where his blog became well known for his account of thirty days in a Fuzhou barber shop. This is the fifth interview in a series entitled The Many Paths to Translation Work. I have never done any formal Chinese studying. Instead I studied French for 5 years in high school/college, which was a colossal waste of time due to both the limitations of learning a language in a classroom setting, and the dearth of opportunities to speak with native French speakers in Kansas. Mark Twain once said, “I never let my schooling interfere with my education,” and this has always been the philosophy I have used for learning languages. If I had to say how I studied Chinese, I did it by conversing with old people in the park, traveling around China by train, chatting daily on QQ, learning songs for KTV, carrying around notebooks wherever I went, and asking an endless amount questions to any one of the 1.3 billion Chinese people who were within my immediate vicinity. Living in China has been absolutely integral in preparing to become a translator in that it gave me both the desire and the necessity to master the Chinese language. To further expound on the original question, I would like to modify the question to read “How has living IN A SMALL TOWN in China helped prepare you to become a translator?” My first fifteen months in China were spent in Fuqing, a small town about an hour away from Fuzhou, the capital of Fujian province. I was one of only two Westerners in the entire town, and this more than anything fueled my desire to master Chinese. I honestly think that had I spent those first fifteen months in Beijing, Shanghai, or even Fuzhou, I probably wouldn’t have the appropriate skills to be a translator today. 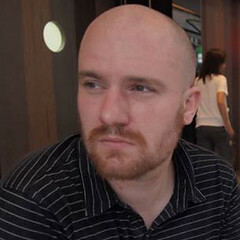 Joel Martinsen is a well-respected regular contributor to Danwei.org, where his frequent translations are a staple. Joel spends a ton of time immersed in Chinese texts, and according to Brendan, “he never forgets anything he ever reads.” This is the third interview in a series entitled The Many Paths to Translation Work. My high school offered Chinese as a foreign language, which turned out to be somewhat less effective than other high school language programs because all levels were tossed together in one class. I took Chinese as my foreign language in college, reaching a third-year level, and then came to China after graduation. After three years living in Jilin, I enrolled in a graduate program in the modern literature department of Beijing Normal University, where I left after three years without actually completing a degree. duration of the job) is essential. Jonathan of The Art of Living has e-mailed me with a link to his report of the new HSK. Although not yet officially in use, the new Chinese proficiency test is apparently already being tested on groups of students. communications: listening, speaking, reading, writing. The old test only covered listening and reading (receptive abilities) and ignored speaking and writing (productive abilities), which encouraged the Korean study bugs to lock themselves in their dorm rooms with tapes and books and totally avoid actually talking to Chinese people. > They also cut out all the one-liner grammar questions, fill-in-the-blank segments, and dissect-a-sentence sections, and focused exclusively on reading comprehension, which was always the most challenging anyway. > The listening was pretty much the same, and the writing was just a simple composition assignment, but the speaking component was crazy: we were given 15 minutes to prepare a five minute oral presentation that addressed the specific prompt questions of two different scenarios: in one scenario, we were calling a friend to arrange details for a weekend outing; in the second scenario, we were factory workers lodging a complaint with a boss. > The new H.S.K. couldn’t care less about 成语. 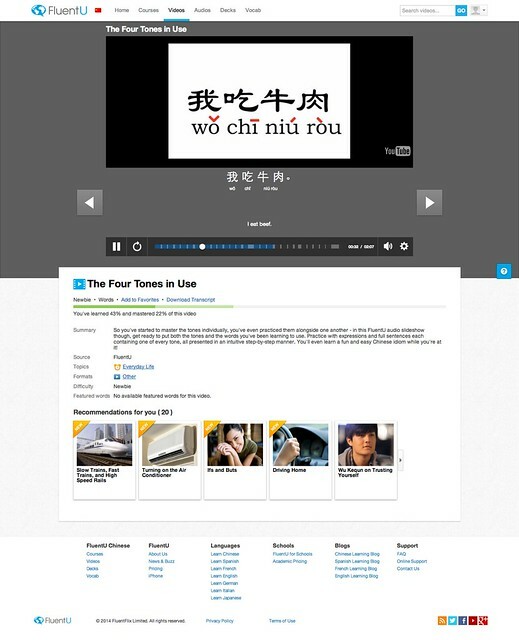 The content was fully geared towards operating efficiently in modern Chinese society: the listening content included a customer-service hotline dialogue and a television ad for cell phones. The reading comprehension material included a standard business contract and a report on a recent summit on environmental protection. For our writing assignment, we wrote a letter to the editor of a newspaper to share our views on recent local government policy (how democratic!). For the whole thing, go read Jonathan’s account.